Experience rich Natural Charm in Kempty Falls, Jharipani Falls & Bhatta Falls - GoodGuysBlog.com - New, Technology, Marketing, Health and So on. There are many spots in Mussoorie that are absolutely phenomenal for tourists and visitors. If you have never been to this hill station, it is high time that you go there. The comfortable green hills, diverse flora and fauna and urbane view of Shivalik ranges and the Doon Valley; everything makes this place charismatic. You can even get luxury hotels in Mussoorie for your stay. For now, you can have a quick walk through a few spots of this hill station. Just experience rich Natural Charm in Kempty Falls, Jharipani Falls & Bhatta Falls and you are going to love it for sure. 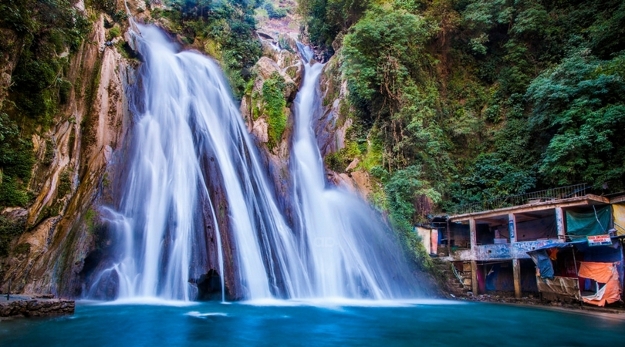 Kempty Falls is one of the popular waterfalls of Mussoorie. It is covered with thrilling mountain ranges and it is one of the prime tourist destinations in Mussoorie. The spot is at one thousand three hundred sixty four m and provides the tourists and visitors so much of charm and thrill. You can feel heavenly here amidst the natural landscapes, gorgeous sights, rhythmic hums of water falls and lively aura. If you are one of the individuals who adore nature to the most then it is the perfect spot for you. This place is located extremely near to Mussoorie and encompasses superb sites and involving aura. The area splendid around these waterfalls is loved by trekkers because of its beautiful scenery. Picnics with family, friends and loved ones can easily be carried out here. The entire area is crammed with serine atmosphere and spectacular views. And yes, if you want to spend some moments of tranquillity then too you can visit here. Amidst the lush green surroundings and beautiful aura; you can lead a great time! Bhatta Falls is around seven kilometres away from this beautiful hill station. The spot is a picturesque space, detached from the worries and miseries of commercialization. At present, the whole spot has grown into a gorgeous picnic spot. At this place, local people and tourists love to spend quality time with their acquaintances. It is not at all wrong to say that Bhatta falls is an ideal backdrop for the photo buffs. In case you love traveling and have a special corner for photography in your life, youmust visit this beautiful place. After all, the area is filled with so much of pleasure, adventure and rejuvenation. So, whether you are interesting to have a refreshing bath in a freshwater pond, relish a picnic or enjoy an elegant photo session, it is the spot made for you! While you are there, don’t forget to carry along your camera. These sites and beautiful waterfalls are going to force you to capture them in your camera. You can get the perfect shots here. Thus, the bottom line is that hotels at Mussoorie are there to take care of your stay. You just plan out a trip to Mussoorie. These waterfalls along with the remaining one are going to give you a refreshing ride. The rich experience is worth having and you are not going to regret it!